When I was 16 I was sitting with a group of my colleagues all discussing ways to solve some of the world's energy problems (I wasn't a normal 16 year old), as the discussion moved to solar power someone mentioned something that I thought was totally absurd. He said that scientists were working on beaming energy back to earth in the form of microwaves- Ha I thought, this has to be some story from the Onion, little did I know I was about to embark down a rabbit hole that eventually lead me to build a crystal radio, make videos about nano antennas, and go in depth into one of the most fascinating fields in the energy world today. 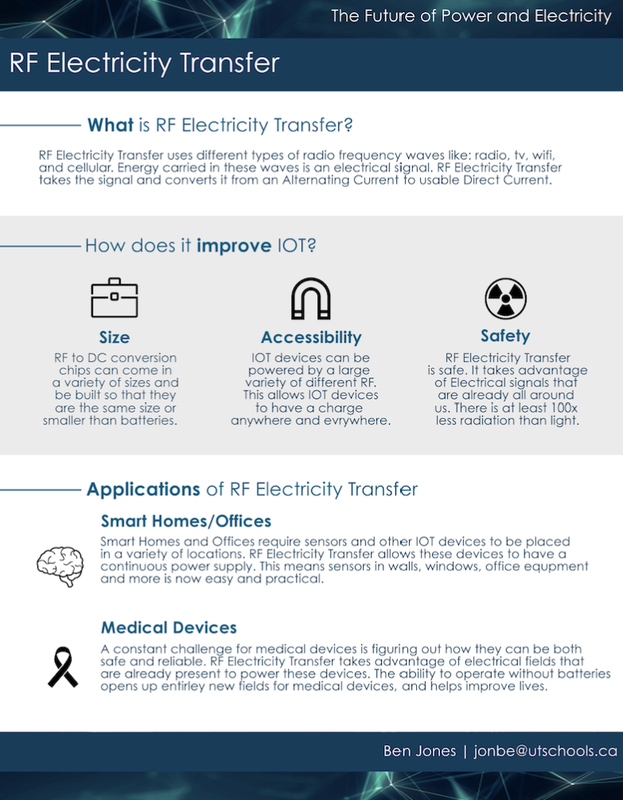 Read one to learn more about Wireless Energy Transfer, and discover some of the work I've done. Nano Antennas are a fascinating technological development that take advantage of some cool physics quirks like Quantum Tunnelling to make their power possible. By taking advantage of Infrared Waves these antennas can harvest energy that is currently being lost, helping us use our energy more efficiently, and helping us power anything form Phones, to Pacemakers. 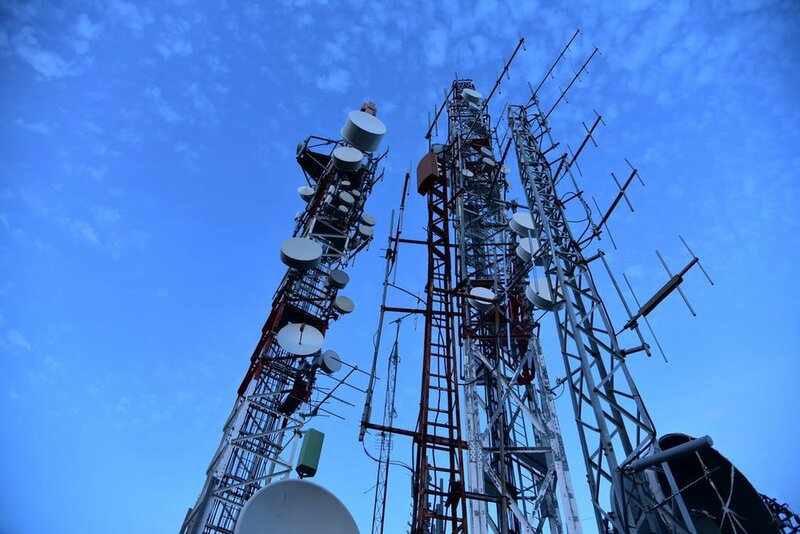 While not as efficient as capturing the high frequency high power IR waves, Radio Frequency Transfer has its very own special, unique and important purpose. Allowing for energy transfer over long distances, with the added benefit of being able to communicate messages this 100 year old technology has the potential to advance IoT exponetially. Imagine a world truly free from wires, a world where your phone is made from nano antennas constantly harvesting infrared radiation from the sun and earth, where cars can power city grids through the magic of induction where household appliances are powered through magnetic resonance coupling. That’s what I do, I find solutions to make our world truly free from the tyranny of wires, giving everything in our life true wireless freedom. Enjoy this Quick 2 Minute Video, a great way to Introduce the awesome and fascinating world of Wireless Energy Transfer to anyone. This easy to follow 5 minute introduction into the world of Nano antennas. Learn how they harvest Infrared Waves to generate energy. A Great, Easy, Clear One Page Introduction to the World of Wireless Energy Transfer using Radio Frequencies.